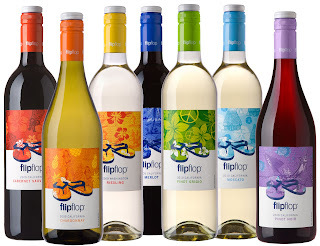 Over the last few weeks I've been reviewing Flip Flop wine's Chardonnay and Cabernet. We will begin with my thoughts on their Cabernet Sauvignon. This review is going to be a little more straight forward and descriptive. The color of the wine was a brilliant and rich deep purplish-ruby. I tasted this at 64 degrees Fahrenheit. The aroma of the wine was almost spicy, it smelled like currants, peppercorns and vanilla to me. I swirled my wine around for a good couple of minutes (this lets oxygen into it so the flavors are more intense or pronounced) and it created quite a few "legs" in my glass. Legs are these little lines that form in your glass after you swirl and those show the alcohol or sugar content of your wine, the longer the legs the more alcohol in the wine. The more the merrier I always say! You can sort of see them in my photo below if you look closely. It is always good to swirl your wine around a little, just hold the base of your glass to the table and move it in small circles. If you get experienced at it you can lift up and hold the stem while swirling. Just be careful not to swirl too hard or you will have a mess lol. So now I take a nice sip and hold in my mouth for a second before I swallow. I tasted anise and peppercorn, it was kind of spicy just like it smelled but even more so on my tongue although it did make me pucker a little bit. After I swallowed, my mouth and throat felt very warm and the aftertaste was lingering, this has a 13.5% alcohol content. My meal of choice ended up being a diet meal LOL. I had a simple spinach pasta with cream sauce from the freezer that I warmed up to have along with this Flip Flop Cabernet. The pasta with spinach was apparently the perfect dish to eat along side of my wine because the wine made the spinach and garlic come to life and those in turn made my wine even better. A match made in heaven! See, you don't have to cook an expensive crazy complicated meal to enjoy wine, even a freezer meal will do! And now for my thoughts on the Chardonnay! The color of the wine was very clear and light yellow. I tasted this at 53 degrees Fahrenheit. The aroma was lemony and appley with a bit of pineapple. I swirled this wine really quickly and then sipped away. The flavor was sour or tart with accents of apricot and lemon. I wasn't sure if I would like it and was almost going to just go off of my first taste since I am not a big Chard fan but I decided to proceed. My second sip was better, it coated my mouth with an almost oily feeling. I suspect this wine would go well with a wide variety of recipes that use butter, cream or cheese. This is a go-to wine that is plentiful, available and only $7! Our meal of choice to pair with this fruity wine was my baked mac-n-cheese. My recipe includes smoked beef sausage, carrots and peas with a buttery sharp cheddar sauce and then a healthy sprinkle of buttered bread crumbs. One thing I did note, the wine had a yeasty smell but not a yeasty taste. I don't know if this is a good or bad thing but it is worth noting I think. I couldn't get a good picture of the legs of this wine but it has an alcohol content of 13.5% same as the red above. Mama-Nibbles gives these phenomenal wines 5 out of 5 hearts! 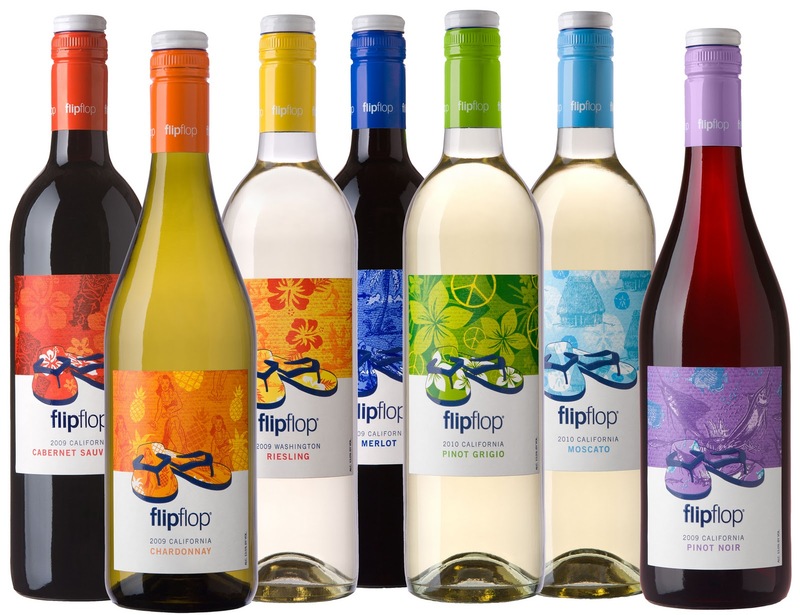 Disclosure: Special thanks to Flip Flop Wines for providing me with a sample to review.. I did not receive monetary compensation for this review. I was sent the product(s) free of charge. It has been used solely for the purpose of this honest review. The views are strictly 100% my own. Receiving the product did not influence me to produce a positive review.